L-Awtorità tal-Ippjanar ippubblikat, għal skop ta’ konsultazzjoni pubblika, dokument dwar Paceville. Dan hu dokument li għal darba jaħseb fit-tul. Iħares lejn l-iżvilupp ippjanat għall-inħawi fit-tul u b’mod ħolistiku. Sa hawn, tajjeb, għax hekk għandhom isiru l-affarijiet. Imma meta tibda taqra id-dettalji, jibdew il-mistoqsijiet. L-ikbar mistoqsija hi dwar jekk l-awtoritajiet humiex, għal darb’oħra, qed jippruvaw jaħdmuna billi jinqdew bl-ippjanar għall-użu tal-art biex iħaxxnu l-bwiet ta’ uħud: dawk li jmaxtru dejjem u f’kull żmien. Il-pjan, fost oħrajn, jidentifika l-ħtiġijiet infrastrutturali ta’ numru ta’ proġetti (disa’ fil-għadd), ewlenin fosthom toroq u probabbilment mina taħt l-art u dan biex ikun iffaċilitat l-aċċess għal Paceville li qed titfassal. Dawn il-ħtiġijiet infrastrutturali, jgħid il-masterplan għal Paceville, huma meħtieġa biex jilqgħu għall-moviment sostanzjali ta’ persuni li huwa antiċipat li dan l-iżvilupp kollu ser jiġġenera. Min ser idaħħal idu fil-but u jagħmel tajjeb għal dawn l-ispejjes kollha? Qed tissemma ċ-ċifra ta’ nofs biljun ewro li fil-fehma ta’ ħafna għandha tinħareġ kollha, jew tal-inqas il-parti l-kbira minnha, mill-iżviluppaturi. Għax inkella ser nerġgħu nispiċċaw fis-sitwazzjoni li huma jimpalaw il-profitti, u ħaddieħor mit-taxxi jħallas il-kontijiet. Kontijiet li ġieli inħallsuhom b’saħħitna u drabi oħra billi t-taxxi tagħna jagħmlu tajjeb għall-ħtiġijiet tagħhom. Il-President tal-Assoċjazzjoni tal-Iżviluppaturi Sandro Chetcuti diġà qal, li, fil-fehma tiegħu, jkun aħjar jekk l-ewwel issir l-infrastruttura u wara jsir l-iżvilupp propost. Dan ifisser ħaġa waħda: li l-iżviluppaturi jippretendu li l-investiment massiċċ meħtieġ fl-infrastruttura għandu jsir mill-Gvern, mit-taxxi li jiġbor. Għax taf inti, issa għandna Gvern pro-business u għalihom dan ifisser li l-Gvern qiegħed prinċipalment għas-servizz tagħhom! Hemm punt ieħor ta’ importanza fundamentali. Il-pjan għal Paceville jitkellem fuq ħafna ħwejjeġ. Imma jħalli barra lir-residenti li joqgħodu hemm illum. Dawk huma l-istess nies li ilhom jaqilgħu ġo fihom snin twal. Il-masterplan ma jsemmihom imkien. Jinjorhom kompletament kif diġà ġara matul is-snin. Dan iwassal għall-konklużjoni inkwetanti li r-residenti li hemm illum m’humiex meqjusa li huma importanti għal min fassal il-pjan. Ovvja għaliex: għax il-pjan hu pro-business u jpoġġi lin-nies fil-ġemb. Għax lir-residenti jqishom xkiel billi dawn dejjem joġġezzjonaw, daqqa fuq ħaġa u daqqa fuq oħra! Dan it-tip ta’ ippjanar ma jagħmilx ġid u m’għandniex bżonnu. In-nies u l-ħtiġijiet tagħhom huma wara kollox il-qofol tal-ippjanar serju. Imma sfortunatament il-pjan għal Paceville hu mibni fuq pedamenti differenti. Għax il-filosofija tal-pjan hu li l-art, il-ġebel, il-konkos u l-azzar jiġu qabel in-nies. Din hi triq li twassal għal Gvern li jaħdmek biex jistagħnew l-ispekulaturi. Inti trid li pajjiżna jkompli miexi f’din it-triq? 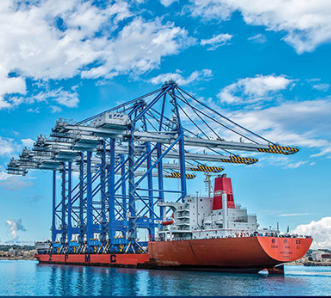 Last Thursday, the MEPA Board finally decided to approve the Freeport Terminal’s application to install four cranes with 140-metre high jibs at the terminal. This decision was taken after the Board, in an anticipated about-turn, accepted a second declaration from Transport Malta as a recommendation for approval of the proposal. In August, Transport Malta had pointed out that the installation of these new cranes was “not desirable” as, due to their height, they would “penetrate one of the established aeronautical protection surfaces by circa 18m”. However notwithstanding the conclusion that, for this reason, the Freeport’s proposal was not considered as undesirable, “given the importance of this facility to the economy” Transport Malta gave its go-ahead to the Freeport’s proposal subject to a number of mitigation measures. The Freeport facilities are too close to the residential area of Birżebbuġa and, over the years, MEPA has not given sufficient consideration to the impact that this facility has had – and is still having – on the quality of life of the residential community. 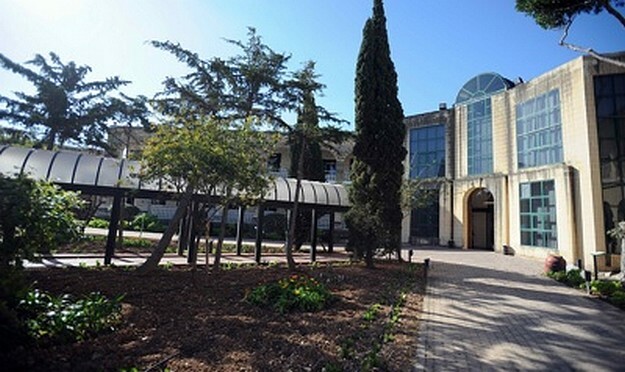 At no point during its consideration of the various planning applications submitted over the years has MEPA considered it necessary to consider the social impact of this economic activity. In fact, primarily as a result of the Freeport’s operations, most of the sport facilities in the area, introduced by the British services over the years, have disappeared. It is only recently that the extensive damage to the waterpolo pitch was made good, through the reconstruction of a new waterpolo pitch. The activities of the Sailing Club, which borders the terminal, have also been badly affected as a result of the increase in the number of ships making use of the terminal. The Birżebbuġa Sailing Club, ironically sponsored by the Freeport itself, is the only one of its kind in Malta’s political south. Last Thursday, MEPA, despite opposition from the Freeport Terminal management, decided on compensating the Birżebbuġa community through the creation of an ad hoc fund to the amount of €955,000 to fund environmental improvement projects in the Birżebbuġa area. It is the second time in six years that MEPA has considered it necessary to take such a symbolic decision. 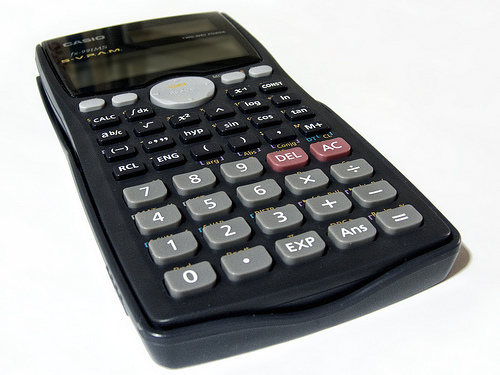 The first time was in 2009, when a fund of €741,820 was created for the same purpose. That decision was, however, quashed by the Lawrence Gonzi-led Cabinet as a result of the planning appeal process, even though the Environment and Planning Review Tribunal in an 11-page recommendation, explained why the original decision was to be confirmed. The decision to create this latest ad hoc fund is symbolic in that it recognises the Freeport’s negative impact on the local community. It will not, however, have any substantial effect. It is just a symbolic recognition of the fact that the contribution of the Freeport Terminal to Malta’s economic growth is being achieved at the expense of the quality of life of Birżebbuġa residents. It is known that a number of residential properties in the area closest to the terminal have been vacant for a considerable time, as the noise generated through its operation is at times unbearable, irrespective of the time of day. This is certainly a major failure of land-use planning in Malta, a failure that will be compounded in the coming months when other major planning decisions – such as the gas storage facilities for the Delimara Power Station just across the bay from the Freeport Terminal – come into operation. 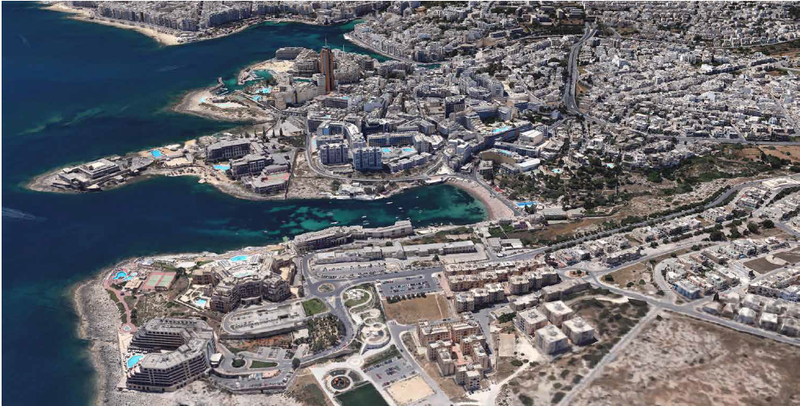 The transformation of Marsaxlokk Bay into an industrial port is now practically complete and, gradually, a substantial number of residents will be squeezed out. It is the same process as that experienced by the Three Cities at Cottonera as a result of the activities of Malta Drydocks. The results can be seen by all. Soon, the shedding of crocodile tears will commence and then the rehabilitation of Marsaxlokk Bay may possibly be planned. Last Thursday was one of those very rare occasions when the MEPA Board, considering two different development applications submitted by the Freeport Terminal operator, decided on the one which will be beneficial to Birżebbuġa residents. 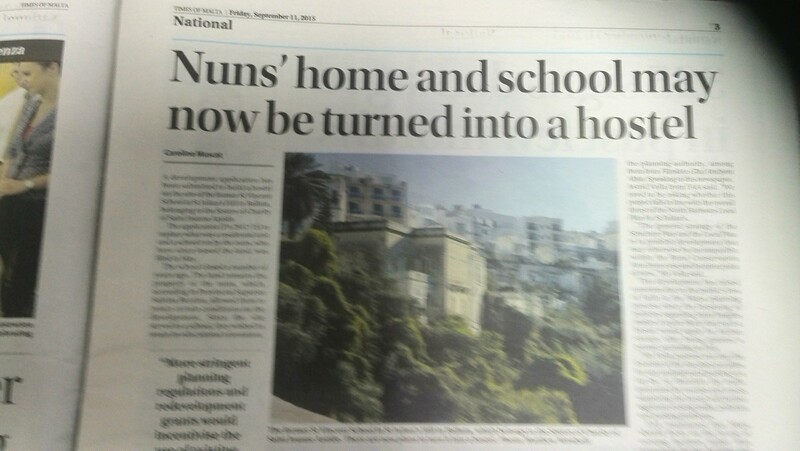 I must confess that I was surprised at this, as I am accustomed to a MEPA which thinks and acts differently. I do not know whether Thursday’s sitting was a one-off or else whether it signals that the Authority has at last realised that the quality of life of our communities should be the real focus of its endeavours. Only time will tell. The first application was to renew an approved permit in connection with dredging work aimed at enabling larger ships to make use of the West Quay of Terminal 1. The second application proposed the installation of larger cranes with 140-metre jibs. The cranes currently in use have 110-metre jibs. After repeated representations from the Birżebbuġa local council, as well as Birżebbuġa residents, MEPA-weeks before Thursday’s meeting- informed the Freeport Terminal Operator that siting these large cranes along the West Quay of Terminal 1 was unacceptable due to their impact on the quality of life of residents, a number of whom live just across the road from the Freeport Terminal boundary wall. The management of the Freeport Terminal complied with MEPA’s instructions to relocate the 140-metre jib cranes. This, however, begged the further question as to whether or not the pending dredging work was, in fact, now required. The MEPA Board unanimously accepted the submission from the local council that, in view of the relocation of the cranes, there was no further need for the dredging permit and this was therefore not renewed. Regarding the second application, seeking authorisation to replace a number of existing cranes with 110-metre jibs with more modern models having 140-jibs, the local council sought an explanation as to why a proposal for the siting of a power station close by – at il-Mara Bengħajsa (with an 80-metre high chimney) in the late 1980s was shot down by the Civil Aviation authorities, who are now accepting the installation of 140-metre high jibs. You have read correctly. The 140-metre jib cranes are “not desirable” yet they are “being considered acceptable” by Transport Malta due to the importance of the Freeport to the economy. The MEPA Chairman is insisting that Transport Malta owes us an explanation. He could have added that safety should not be compromised for any reason, including “economic importance”. In a further twist in the whole saga, the Freeport Terminal management proceeded with the installation of the new cranes without waiting for a MEPA decision on the development permit requested. Public opinion has been repeatedly critical of MEPA for its insensitivity to the impact of developments on residents in various localities. Economic operators were afforded sufficient protection to be able to over-ride the growing environmental concerns of our communities. The same MEPA Board which, last Thursday, unanimously decided to refuse the renewal of a development permit to carry out dredging work had, 18 months ago, voted by a large majority in favour of changes to the Freeport’s environmental permit such that it would have been permissible to carry out repairs to ships and oil rigs at the Kalafrana Terminal. It was only at the insistence of the Birżebbuġa Local Council that the Freeport Terminal management opted not to use the permit issued. 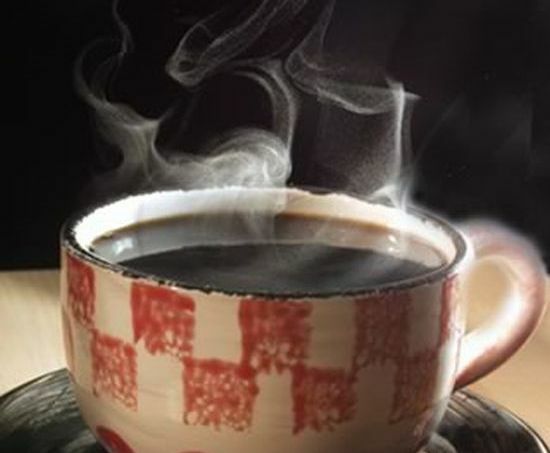 The question to which I seek an answer to is whether Thursday’s events signify that MEPA has awoken up from its slumber and smelled the coffee It would indeed be commendable if it is capable of standing up to corporate (and state) arrogance. Ending MEPA’s Rip van Winkle phase would signify that, after all, the possibility to improve the quality of life in Malta through better environment protection does exist, after all. But time is running out. Fil-fehma tiegħi, għall-MEPA, r-residenti m’għandhom l-ebda importanza. Anzi, ħafna drabi l-attitudni hi li r-residenti qegħdin fin-nofs, joħolqu ostaklu għal dak li uħud isejħulu żvilupp. Eżempji għandna kemm irridu. Il-power station ta’ Delimara, darbtejn. Kemm dik tal-BWSC kif ukoll tal-gass. L-iżvilupp massiċċ residenzjali ta’ Fort Cambridge, Pender Gardens, u l-Ponta ta’ Tigne (Tal-MIDI). Kollha kemm huma żvilupp insensittiv li ġie jaqa’ u jqum mir-residenti. Dan kollu hu mifrux fuq bordijiet differenti tul is-snin. Hemm ukoll il-Port Ħieles li hu viċin wisq taż-żona residenzjali ta’ Birżebbuġa. Tant li l-istorbju tal-ħidma fit-terminal tal-Port Ħieles tinstema minn diversi partijiet ta’ Birżebbuġa. Bħalma jhezzez kull m’hemm id-dredging li jsir f’kull ħin tal-ġurnata, bla rispett lejn ħadd. Il-bieraħ quddiem il-Bord tal-MEPA kien hemm laqgħa oħra imqanqla dwar waħda mill-applikazzjonijiet li għadhom pendenti dwar il-Port Ħieles. Kont hemm nassisti lill-Kunsill Lokali ta’ Birżebbuġa. Diversi membri tal-Bord tal-MEPA għadhom ma jistgħux jifhmu għaliex kull min hu assoċjat ma’ Birżebbuġa ma tantx għandu opinjoni tajba tal-MEPA. Ilkoll niftakru kif f’April tal-2014 il-Bord tal-MEPA b’maġġoranza kbira kien approva emenda għall-permess ambjentali tat-terminal tal-Port Ħieles biex jippermetti tiswijiet fuq oil rigs u vapuri fil-Port Ħieles . Kien biss wara li qamu r-residenti ta’ Birżebbuġa li l-Gvern ġie f’sensieh u li l-management tat-terminal tal-Port Ħieles irtira mill-posizzjoni tiegħu billi rrinunzja għall-emendi li kienu għadhom kif ġew approvati. 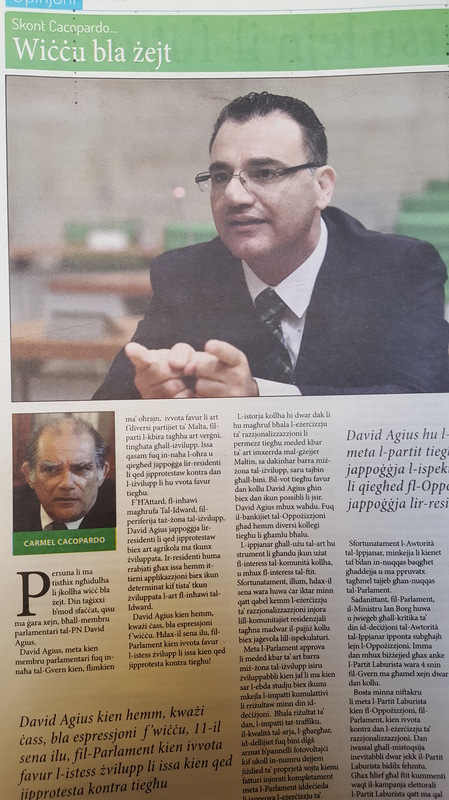 Dan kollu hu diffiċli li jintesa għax l-istess nies li ħadu dawn id-deċiżjonijiet għadhom hemm. L-hekk imsejjaħ żvilupp dejjem ingħata prijorità. Għax r-residenti m’humiex meqjusa importanti. Sadanittant il-bieraħ il-Bord tal-MEPA, wara li sema’ l-ilmenti kontra l-mod kif ftit ftit l-iżvilupp tal-Port Ħieles qed joħnoq lill-Birżebbuġa, ma ħax deċizjoni għalissa u talab iktar informazzjoni. Din mhux l-ewwel darba li ġrat. Anke l-Bord ta’ qablu ġieli għamel hekk. Issa naraw xi jmiss! Government has published a consultation document dealing with the use of open public spaces by catering establishments, entitled Guidelines on Outdoor Catering Areas on Open Public Space : a holistic approach to creating an environment of comfort and safety. 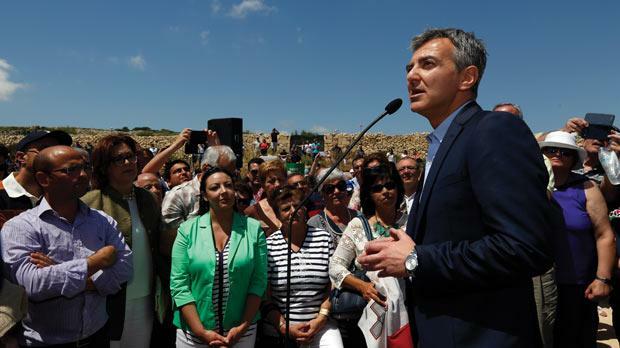 This document was launched earlier this week at a press conference addressed by the Minister for Tourism Edward Zammit Lewis and the Parliamentary Secretary responsible for planning and simplification of administrative processes Michael Falzon. 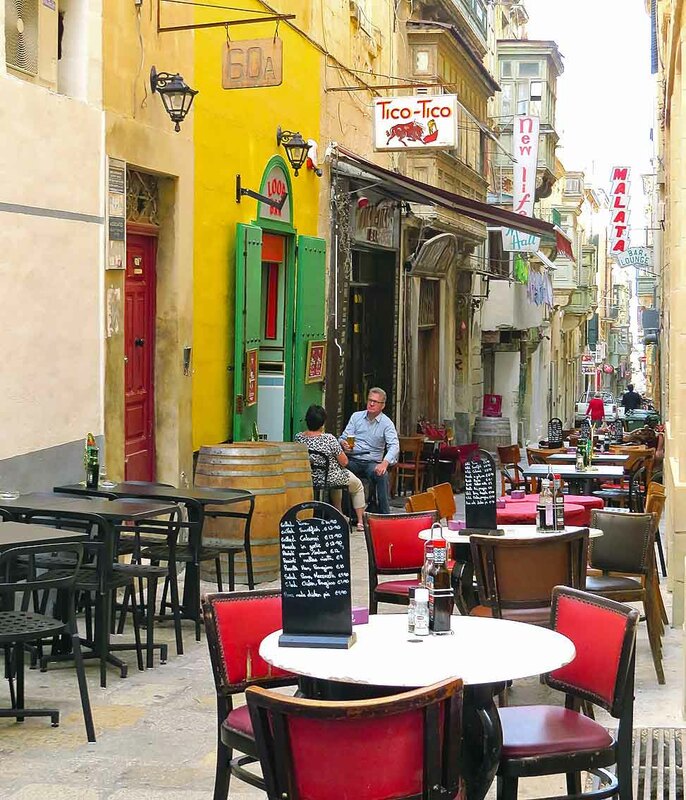 The inter-Ministerial committee set up by government to draft the policy document was limited to representatives of the Ministry of the Interior, MEPA, Transport Malta, the Government Property Division, the Malta Tourism Authority and the Association of Hotels and Restaurants (MHRA). Representatives of the local councils were excluded from participating. 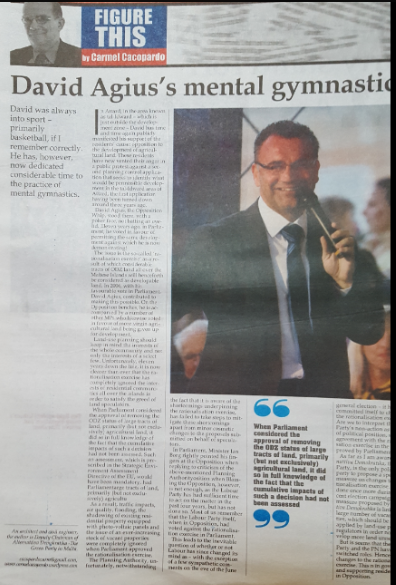 It seems that when the matter was being considered by Cabinet, the Minister for Local Councils Owen Bonnici was fast asleep as otherwise he would undoubtedly have drawn the attention of his colleagues that the Local Councils Act, in article 33, deems it a function of local councils “to advise and, where applicable, be consulted by, any authority empowered to take any decisions directly or indirectly affecting the Council and the residents it is responsible for”. Surely the use of public open spaces by catering establishments is a matter which is of considerable interest to local councils as it affects both the councils and the residents they represent. Yet the government has a different opinion as representatives of local councils were not invited at the drawing board where the guidelines on the use of public open spaces by catering establishments were being drafted. The guidelines introduce a one stop shop at MEPA, thereby eliminating the need to apply for around four other permits for the placing of tables and chairs in public open spaces. This would be a positive development if MEPA can take on board all the considerations which are normally an integral part of the four other application processes. If the utilisation of public open spaces was limited to the squares in our towns and villages, I do not think that there would be any issue. There is sufficient space in such areas and using part of it for open air catering activities there would not be cause for concern. However, problems will definitely arise in areas of mixed use, that is, areas where the ground floor is used commercially and the overlying areas are used as residences. This is a common occurrence in many of the localities where there is a high demand by the catering business for the utilisation of public open space. The guidelines, however, ignore the impacts which placing chairs and tables at street level could have on the residents in such areas, in particular those living in the floors immediately above ground level. Such impacts would primarily be the exposure of residents to secondary cigarette/tobacco smoke as well as noise and odours. The issue of noise will undoubtedly arise, in particular during siesta time, as well as late into the evenings while secondary smoke from cigarettes/tobacco as well as odours will be an ever present nuisance. Maybe if the local councils were not excluded from the inter-Ministerial Committee, these matters would have been taken into consideration. In such instances it would be necessary to limit the placing of tables and chairs at such a distance from residences where impacts on residents from secondary smoke, noise and odours are insignificant: that is if there is sufficient space. The guidelines establish that a passageway of 1.50 metres on pavements is to be reserved for pedestrians. In addition they establish that where a permit is requested to place chairs and tables outside third-party property, specific clearance in front of doors and windows is to be observed. Isn’t that thoughtful of the inter-Ministerial Committee? Instead of categorically excluding the placing of chairs and tables along the property of third parties it seeks to facilitate the creation of what would inevitably be a nuisance to the users of such a property. This, too, is the result of the lop-sided composition of the inter-Ministerial Committee. Nor are parking spaces spared. The inter-Ministerial Committee makes provision in the proposed guidelines for the possibility that catering establishments can also make use of parking spaces for the placing of tables and chairs when other space is insufficient. The guidelines leave no stone unturned in ensuring that tables and chairs get priority, even though this is worded in terms that make it appear that it would be an exception. Enforcement, as usual, will be another headache. We already have quite a number of cases in various localities where passageways are minimal or inexistent and pedestrians, excluded from walking along the pavement have to move along with the traffic, right in the middle of the road. At times this may prove quite difficult and dangerous, in particular for wheelchair users or in the case of parents with small children. Enforcement to date is practically inexistent and I do not think that matters will change much in this respect. Unfortunately, MEPA is a repeat offender in ignoring the interests of the residential community when faced with all types of development. The guidelines on the use of public open space by catering establishments are thus more of the same. While cars have taken over our roads, catering establishments will now be guided on how to take over our pavements and open spaces, parking included! F’San Ġiljan, fit-Telgħa li mill-Balluta twassal sa Triq il-Kulleġġ l-Antik hemm kunvent żgħir tas-sorijiet flimkien ma skola żgħira (St Vincent School). M’għadux jintuża la bħala kunvent u l-anqas bħala skola, għax hemm applikazzjoni biex ikun hemm lukanda żgħira. Interessanti jekk il-Knisja innegozjatx l-art, inkella jekk ġietx f’idejn l-iżviluppatur mingħand terzi. Din il-lukanda ser ikollha l-faċċata tagħha li tagħti għal fuq il-wied tal-Balluta u ser ikollha veduta mill-isbaħ tal-Bajja ta’ San Ġiljan. Biex titwettaq din il-proposta li preżentment qegħda quddiem il-MEPA (PA 2937/15) hu propost li jsiru tibdiliet u żidiet mal-binja tal-kunvent eżistenti. Il-proposta tal-binja finali, dejjem skond il-pjanti li hemm bħalissa quddiem il-MEPA, mhux ser taqbeż l-għoli tal-kunvent eżistenti b’mod li tibqa’ taħt il-livell tal-bini eżistenti li jmiss mal-kunvent. F’ċirkustanzi normali dan hu t-tip ta’ żvilupp li għandu jkun inkoraġġit. Li nagħmlu użu aħjar ta’ art li diġa hi disturbata. Hu bil-bosta aħjar milli tinbena art barra miż-żona tal-iżvilupp. It-Times tal-lum tirrapporta li r-residenti, iżda, huma mħassba dwar dak li hu propost. Ma nagħtihomx tort, prinċipalment għax nifhem li din il-preokkupazzjoni hi riżultat ta’ nuqqas ta’ fiduċja fl-istituzzjonijiet b’mod li anke fejn proposta ta’ żvilupp hi waħda valida diffiċli toqgħod fuq dak li tkun qed tara b’għajnejk, għax bla ma trid tissuspetta li hemm xi ħaga oħra, moħbija, inkella li ma tkunx qed tinduna biha. Min jaf, qed jaħsbu uħud, jekk din il-proposta hiex waħda miftehma sakemm joħroġ il-permess għall-iżvilupp, imbagħad, wara li l-affarijiet ikun ikkwietaw tibda fażi oħra li twassal għal żieda fil-għoli! Jiena naħseb li dawn huma affarijiet li jeħtieġ li jkunu ċari ħafna, għax s’issa m’humiex.